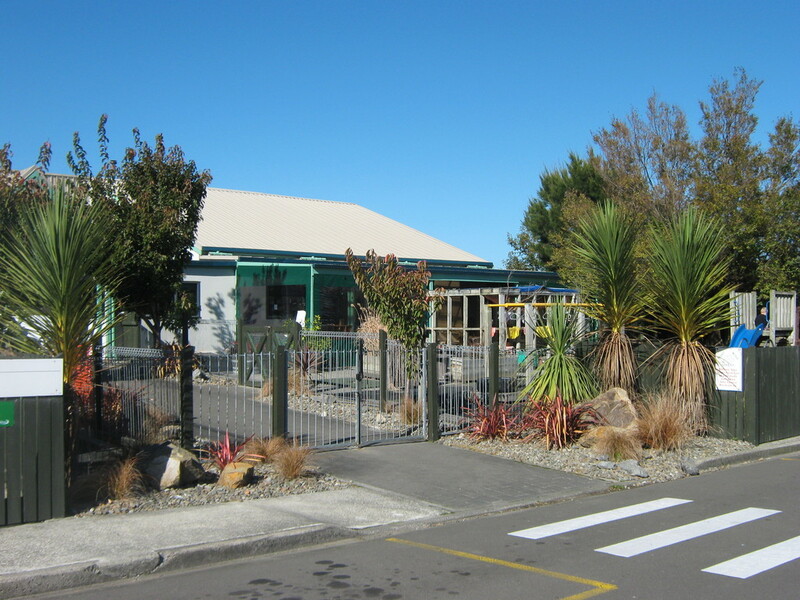 Massey Child Care Centre is a large community based centre which consists of four interlinked sections with one management structure. This Incorporated Society is governed by a Governance Board who strive to maintain a management culture of empowerment and inclusion through clear and consistent leadership. The purpose built facility comprises of two infants and toddlers and two young children's sections. The two age group sections work closely together as a parallel team providing programmes in which teacher-parent-child relationships are central to all interactions. It is Massey Child Care Centre's vision to provide the best environment for discovery and learning to grow the capacity of our community. Our mission is to support staff, children, families and whanau to gain knowledge and build personal and interpersonal capacity as they foster a vibrant community. We aspire for excellence in early childhood education through educational leadership in the centre and the early childhood sector. A strong community of practice culture will be fostered to support and strengthen participants as active enquirers. Cultural diversity is valued and the individual needs of the children and their families are integral to the centre’s programme. Programmes are designed to promote children’s holistic development in an atmosphere of security and understanding. Relationships form the core of who we are and must therefore be at the centre of our work with children. We value the importance of children developing trust in themselves and the world around them. We believe that as infant and toddler educators we are not only laying the foundations for all future learning, but are also contributing to the child’s future ability to learn and develop meaningful relationships with others. We believe that responsive attuned relationships facilitate both the cognitive and emotional wellbeing for the child. It is through these intentional, and well considered relationship practices that children learn the basic tenants of self regulation. Teachers are reflective practitioners with a sound understanding of the science of teaching and participate in extensive, ongoing professional development. In return the environment is enriched for all, providing opportunities for life long learning. A fundamental component of our philosophy is the secure attachments and collaborative relationships developed between the child, parents/whanau and teachers. The focus is on fostering children's learning dispositions, promoting enquiry and collaborative learning opportunities. Interest, curiosity, confidence, creativity, exploration and collaboration are encouraged through reciprocal relationships, active listening, and reflective teaching, as well as through a rich and thought-provoking environment.Teachers are reflective practitioners with comprehensive understandings of each child and this results in specific interest based individual plans and group investigations. Teachers are reflective practitioners with a sound understanding of the science of teaching and participate in extensive, ongoing professional development. In return the environment is enriched for all, providing opportunities for life long learning. The environment reflects our identity and makes visible the values and beliefs inherent in our learning community. Children and their families and whanau are exposed to and enriched by the dual culture of Te Tiriti o Waitangi. Teachers communicate and implement practices that are equitable and consistent, creating a fair and safe environment for everyone. Teachers recognize and utilise the environment as an essential component in children’s learning. Careful thought is given to fashion natural, intimate indoor environments that support the provision of places where children and teachers can work and reflect quietly and calmly. An environment rich in core curriculum experiences stimulates, seeds and inspires children’s interests and enquiry fostering communication and relationships. Infants and toddlers are supported to make their own choices, thus allowing them to be actively engaged in the process of their learning. The outdoor environment includes two nature corridors [link] on either side of the centre that provides quiet places where children can appreciate the natural world. Stone pathways lead to quiet spaces for children to sit and rest awhile and each garden has a water feature to provide soothing and calming sensory experiences. 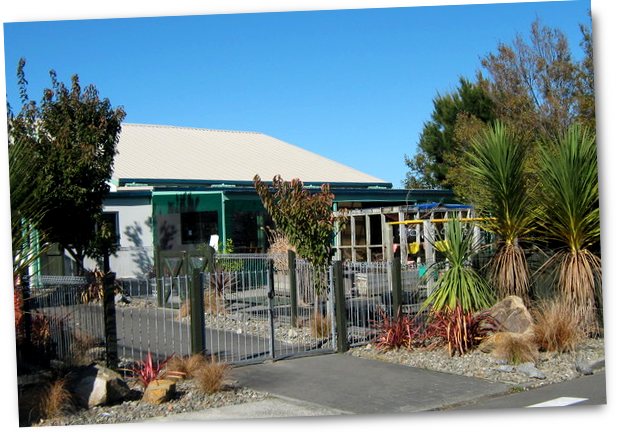 Massey Child Care Centre provides innovative education and care programmes for children and families of the Massey University community. Children experience an inclusive environment where their cultural heritage is respected, acknowledged and represented. Situated at the top of the hill above the Turitea Campus on Bourke Road, just past Te Putahi-a-Toi [MÄori Studies]. The centre is bordered by farmland on one side and car parks front and back and within easy walking distance to the rest of the campus.